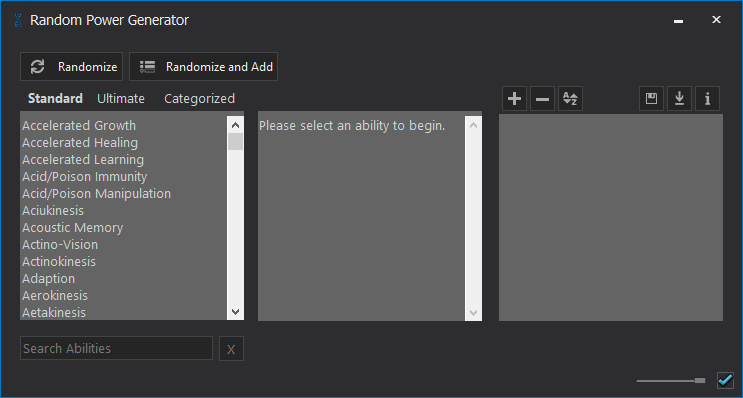 With this you can randomly select a power for the intended purpose of helping you decide the abilities for your own superhero; additionally you can use it for your own creativity. Please check out rexfordrich.com/apps for more details. Thanks!